The procedures and tables in this article can be used out in the field to estimate the classification of a soil sample. This guide is intended for use in construction materials testing, but it can be useful for anyone who works with soil and wants to understand its properties better. When you are examining a soil sample, one thing that is important is the color of the sample. Soil color can tell us about the pigmentation and oxidation states of the minerals it is composed of, whether or not the soil might have organic content, and the amount of moisture present in the soil (wet soil will look darker). Another thing that is crucial to soil classification is identifying and quantifying the grain sizes that are in the soil. Look at how much gravel-sized particles there are compared to sand-sized particles, and sand compared to silt and clay, and so on. For classifying fine-grained portions of soil, there are a couple of special techniques that you can use. Soils are made of countless different components and can even differ completely from neighboring soils. 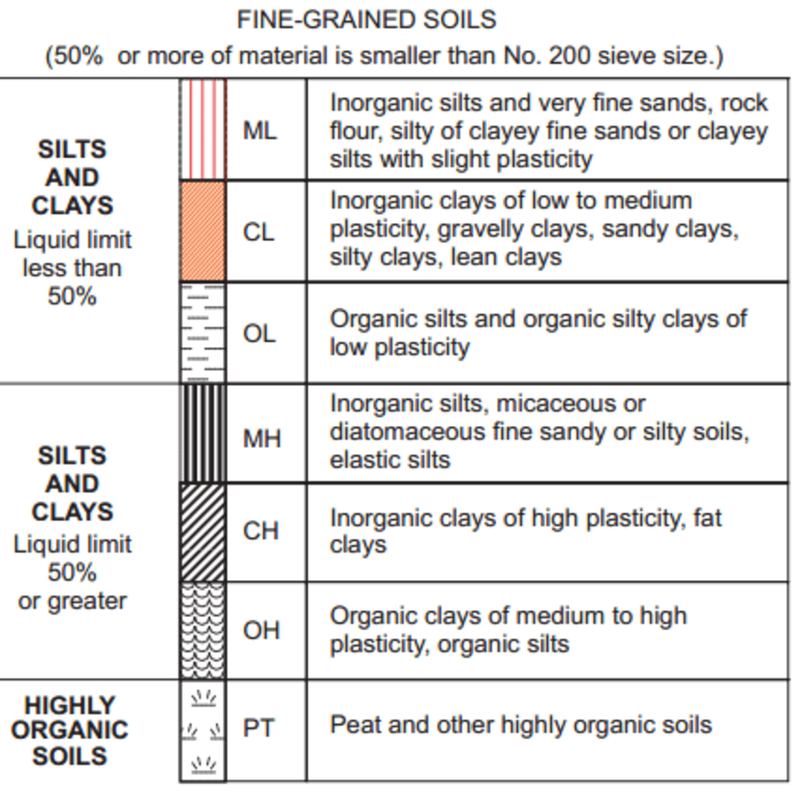 Knowing how to classify soil can be very important because classification can determine whether a soil is suitable for its intended purpose. Take some soil and rub it in the palms of your hands. Then turn your hands over, palms down, and shake them. The sand grains will fall off but the silt and clay will stick to the lines in your palm. You can also look closely at the soil. The sand grains are visible to the naked eye but the individual silt and clay particles are not. With sand like the sand on the left, you can see the individual grains easily with the naked eye, but with silt, like the silt pictured on the right, you may need a microscope to see individual grains. Put some soil in your hand with your palm facing upwards. Mix in some water until the soil is moldable like putty. With your other hand, firmly pat the edge of the hand holding the soil for 5 to 10 seconds. If the surface of the soil starts shining and the water rises to the surface, it’s silt. If the water does not rise, then it’s clay. This is because water penetrates silt more easily than clay. Also, clay feels stickier than silt when it’s wet. Some clays in the smectite family, such as the bentonite pictured here, can absorb so much water that their liquid limit is over 100 percent. You can add as much water as there is clay, and it would still be somewhat thick and viscous. Is the Soil Well Graded or Poorly Graded? Soil that is well graded will have an even mixture of different grain sizes and will compact more easily than poorly graded, or uniformly graded, soil, which may have grains mostly the same size and not much variety. Poorly graded soils are more susceptible to liquefaction, where the soil suddenly weakens in the presence of applied stress, such as an earthquake, and begins behaving like a liquid material, loosening and flowing. 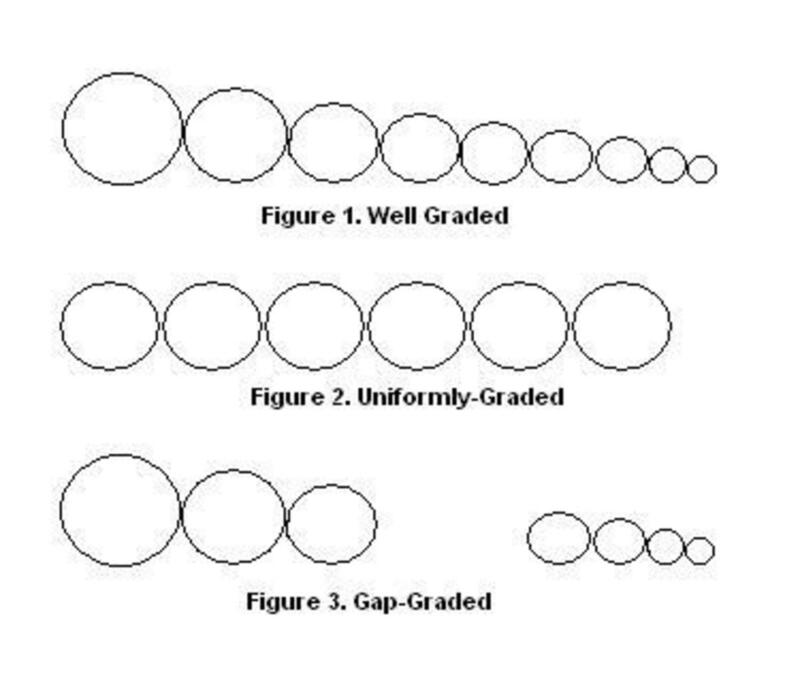 You may also encounter gap-graded soils, which will be missing particles of a certain grain size. For example, the gap-graded soil may have large coarse-grained particles and fine clay, but be missing medium sand-sized particles. Knowing whether there are organic materials or chemicals present in the soil can be very important on the job, as this can be used to detect environmental hazards on site such as a septic tank leakage, or it can help you determine that a material is suitable for its intended purpose. If your soil smells like decaying plant matter, it’s probably organic. Organic soils also tend to be darker in color (use an organic impurities plate to compare the color of your soil to the colors on the plate. If it is very dark, it could potentially contain organic material). If it was dug out near the surface of a natural fill, it is very likely to contain humus (decomposed plant matter). Remember that you can only know if a soil is truly organic if you do an Atterburg limits test on a dried out sample and on a normal sample and their liquid limits are vastly different. A strong oily smell may indicate that the area that the sample came from once had buried gasoline or oil tanks nearby. If a strong manure odor is present, you may find a cesspool or septic tank nearby. If you smell any chemical odors in the soil and there are no environmental personnel on the site you should stop what you are doing and let your supervisor know. Organic soils are very good for farming due to the nutrients they contain from decaying plants. If it looks good for your garden or farm, it's probably an organic soil. 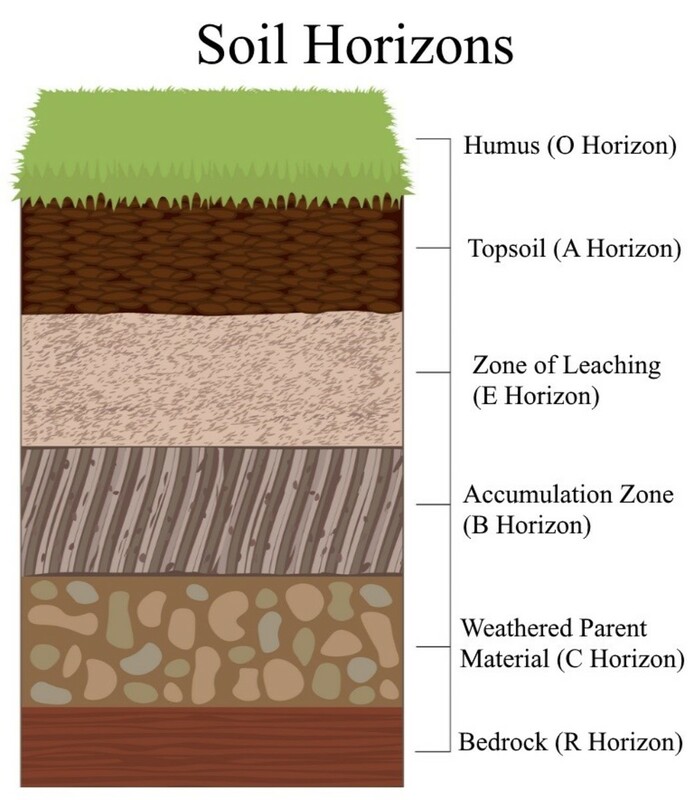 To figure out whether a soil is natural and undisturbed or altered by human activity, you should look at a soil’s composition, color, and porosity. 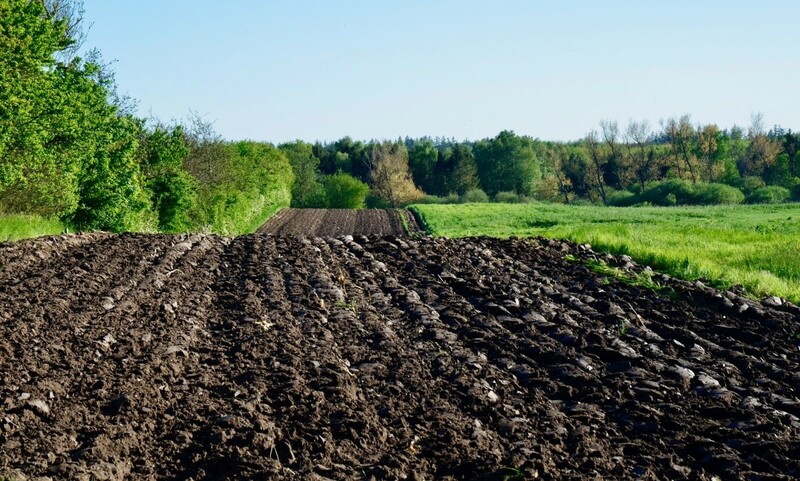 A soil that is man-made may have unnatural materials in it, like pieces of broken beer bottles, trash, metal, or brick, while a natural soil will not have any of those things in it. Man-made fill tends to have a mottled color because they mix different colored soil types together. Natural soil will have a layer of dark organic matter (humus) on top, with live and decaying roots. Next down is the topsoil, which mixes humus and soil that has leached minerals in it. 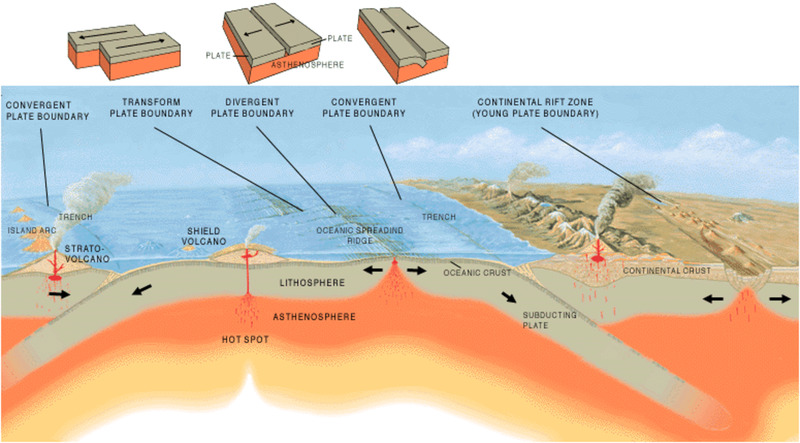 Further down is the zone of leaching (Leaching is the process of extracting substances from a solid by dissolving them in a liquid, which would be the natural groundwater here), which has a mixture of humus and leached minerals but has a larger percentage of leached minerals than the layer above, and then the subsoil, where the leached minerals like iron oxides and aluminum oxides accumulate. Below the subsoil is the parent material, which is where the weathered material originates; it is composed of partly weathered minerals and broken chunks of the bedrock below it, which is unweathered. Natural soil will generally be darker in color than man-made fill, and man-made fill will not have the gradient of colors pictured above. 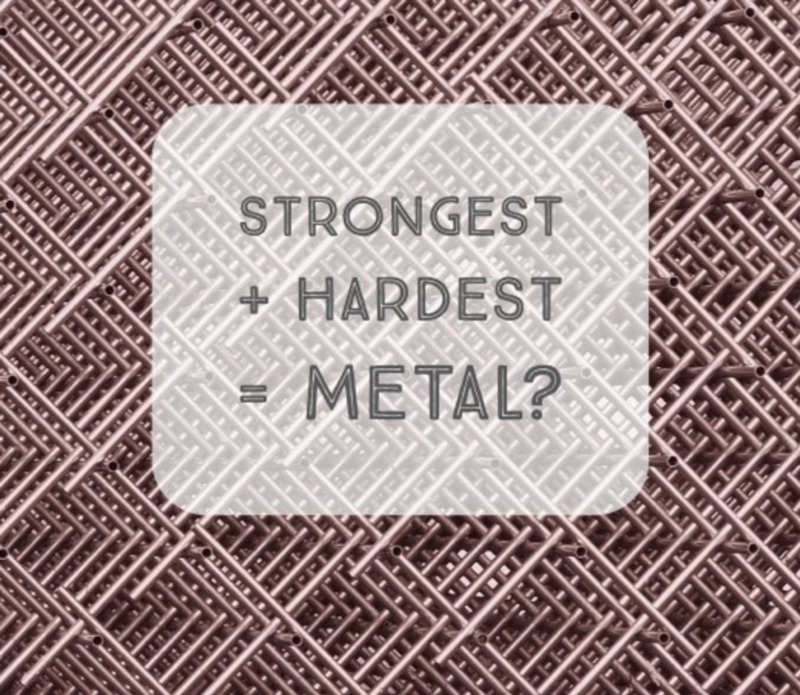 Another way to distinguish man-made fill from natural soil is the porosity of the soil. Natural soil will have root holes and animal burrows and cracks in it, but man-made fill is subjected to compaction and grading that destroys the natural openings and redeposits the material in a denser condition than before. 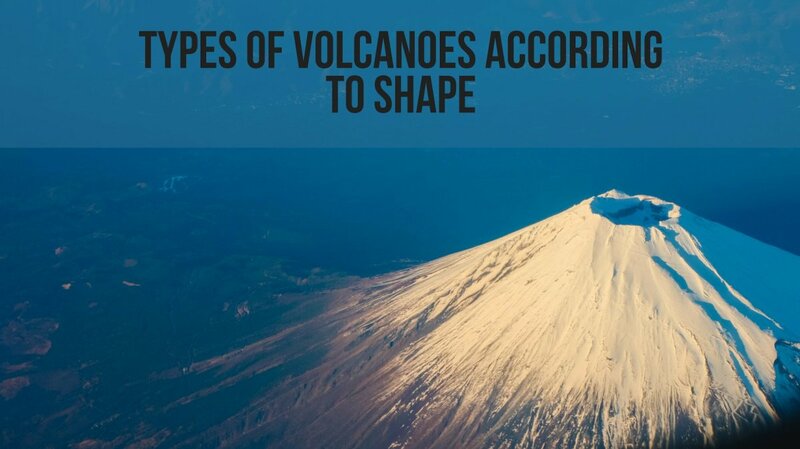 However, an old man-made fill that has been deposited 30-50+ years ago may develop its own porosity over time as roots and animals begin to burrow into it. 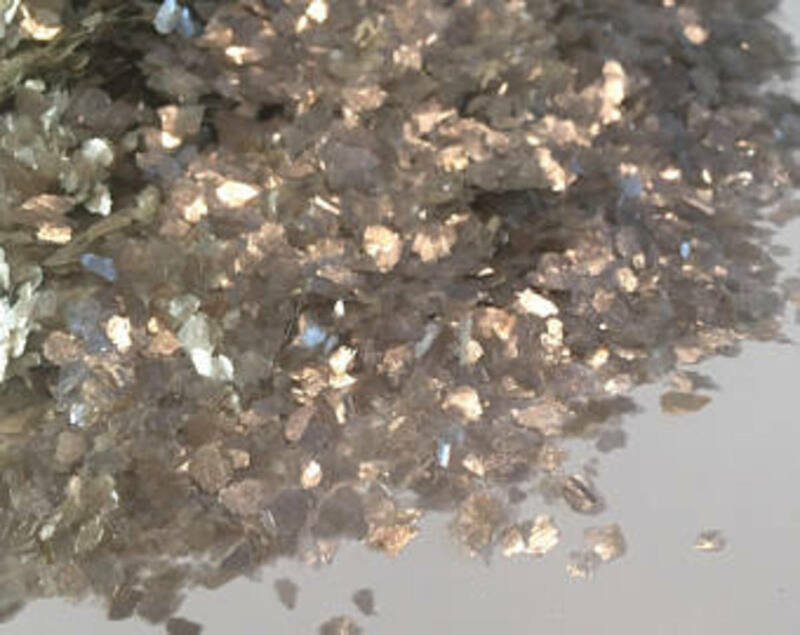 Mica is a mineral that looks like flakes of silvery glitter. If you see it in the soil when you’re doing a nuclear density test, know that it can throw off the moisture count that shows up on your nuclear gauge, because mica has a lot of hydrogen in its chemical composition and the gauge reads it as water. The moisture of the soil may be quite a bit drier than it appears. If there is a notable amount of mica in the soil, include a note in your report. Here in the next few tables are a few descriptive terms you can use to describe various properties of soil. Remember that you should fully write out terms when doing a report describing soils, not just symbols. Also, colors can be modified with other colors, such as reddish-orange, or adjectives, such as light brown. 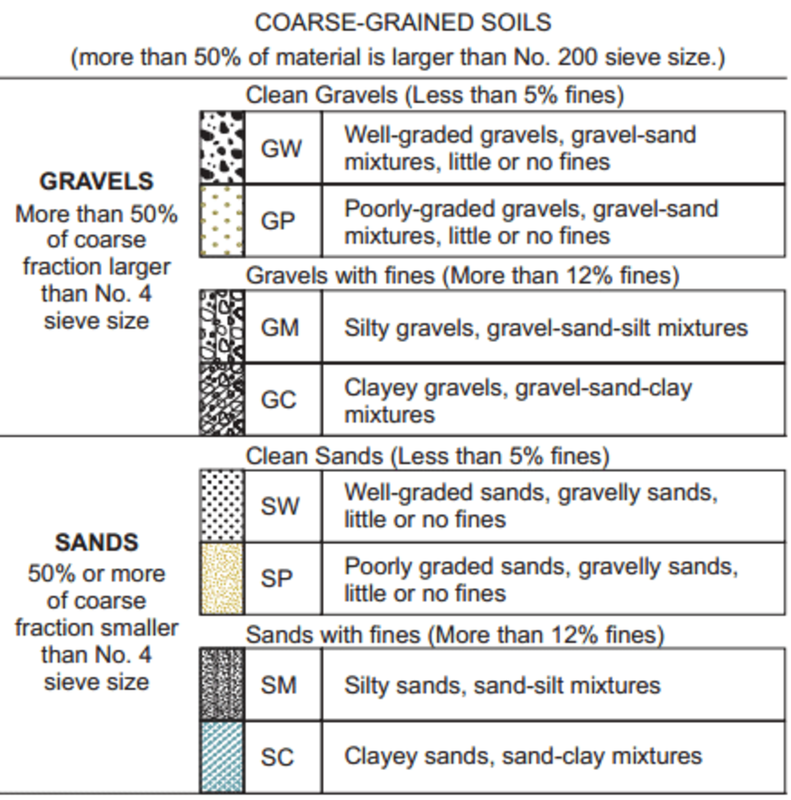 This USCS soil classification chart gives you a quick way to describe a soil sample based on properties such as grain size and particle type. No. 4 sieve - 3/4"
Having the right moisture content can be crucial when you are trying to compact soil, as it may compact more easily in a certain moisture range. The dynamic cone penetrometer test is a good way to figure out how dense a soil is. In the DCP test, a large rod is hammered into the ground, and you count how many blows it takes to penetrate a certain distance. 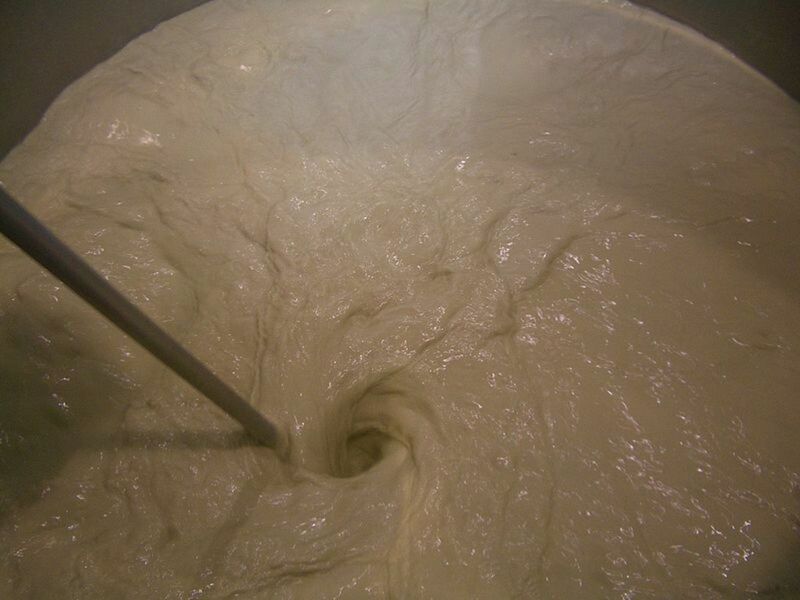 Soil that contains limestone particles may react to hydrochloric acid by bubbling and fizzing.